This one's perhaps a little unexpected given it was rumored to be the Enjoy 7S. It's by no means a nasty surprise though. In fact, quite the opposite. 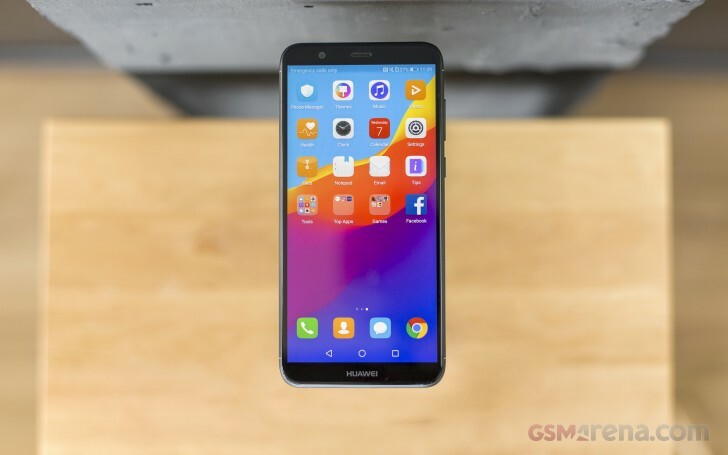 You see, Huawei's Enjoy phones aren't getting much love usually - either because they're a strictly domestic lineup, known as the Y-series globally, or because they're ... well... easily eclipsed by the flagship P's and the Mates. Now, welcome the Huawei P Smart and get ready to be surprised. Quite competitively priced for what it offers, the P Smart may turn out to be one of the company's most compelling recent offers. 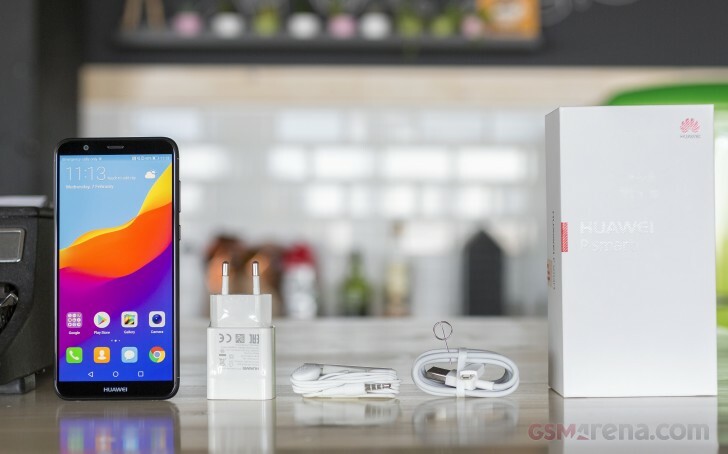 The overall package is downright solid, with a couple of highlights - the dual-camera rig and the FullView tall aspect ratio screen. The Huawei P Smart maybe familiar if you're watching Huawei closely. It has clearly borrowed bits and pieces from the Honor 7X, although it has a smaller screen and a 13MP primary cam instead of 16MP. The rest is more or less the same. And it sounds really great on paper: the latest midrange Kirin chipset, a pair of cameras at the back, Android 8 with EMUI 8, all wrapped into a great-looking aluminum body. What we have here is pretty much middle ground between the Mate 10 Lite and the P10 Lite. The sweet spot really - the P Smart is better than the P10 Lite and cut back on just some of the trimmings of the Mate. It has a smaller screen and a single selfie cam - though it keeps the simulated bokeh anyway. The best thing is the price was slashed accordingly to make the P Smart one of the most affordable Huawei phones around. Let's see what comes in the box. Going against the midrange grain, not only does the Huawei P Smart bundle a proper microUSB cable and a 10W charger plug, but also a pair of headphones with an integrated mic. Although the headset looks rather basic, we always welcome a complete package, which saves you the hassle of searching for a compatible accessory. We dream of the days where all manufacturers will bundle a case and a screen protector too. But we digress. Follow us on the next page for a closer look on the design and build quality.